Foundation Hotel con Corazón is a social enterprise in Granada in Nicaragua. It invests 100% of its profits in local education. After eight years of working in the community, the foundation wanted to take a closer look at the impact of their educational activities. They decided to conduct an impact study, to gain a better understanding of how students and other stakeholders are experiencing their programmes and how this may be changing their lives and the community at large. In November 2016, Hanna Ulseth, Master’s degree student from the School for International Training in the United States, started collecting stories using Sprockler. Sprockler is an innovative story based-research tool that collects actual stories and turns them into meaningful data. Can you tell us something that has happened in your life since your started participating in the tutoring program? More than 100 students, parents, tutors and other stakeholders were asked to share a story about an experience related to Hotel con Corazón. 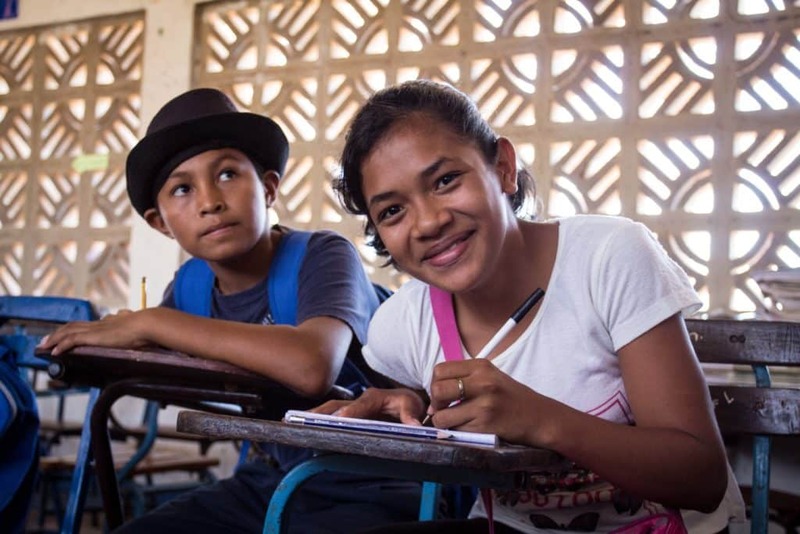 Interviews were carried out at both schools in Las Lagunas and with scholarship recipients, graduates and drop-outs, both in the community and at the hotel. Afterwards, each storyteller answered clarifying questions that allow larger patterns to emerge once all stories are collected. The online interactive report presents both the quantitative results and the stories itself. We are proud to report that the stories illustrate that our work clearly has had a positive impact on people’s lives and on the community.